Kathryn Picht Read joined The Philadelphia Orchestra in 1979 and is the last member of the Orchestra to have been engaged by Eugene Ormandy. 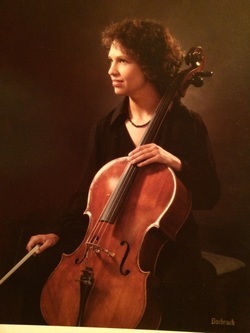 A native of Iowa, she studied the piano with her mother from the age of five and began cello lessons when she was 10. She attended the University of Wisconsin and holds a Bachelor of Music degree from the University of Illinois and a Master of Music degree from Boston University. While in Boston she studied with George Neikrug. A former faculty member of the New School of Music, Ms. Picht Read is now an adjunct professor at Temple University. She attended the Grand Teton Music Festival and also taught at the Festival of the Youth Symphony Orchestra of the Americas in San Juan, Puerto Rico. Ms. Picht Read has been an active participant in Orchestra committee work and volunteer activities and assists with The Philadelphia Orchestra’s biennial Perfect Harmony fundraising event.